Fri. #2 is HERE. To help the website out please subscribe to Mistah MegaManFan so we can reach 1,000 (current count: 819). If you're a gamer you'll enjoy the content! Don't miss Thursday Night AMP from this week! With the cheap plugs out of the way here's Saturday's latest wrestling news. 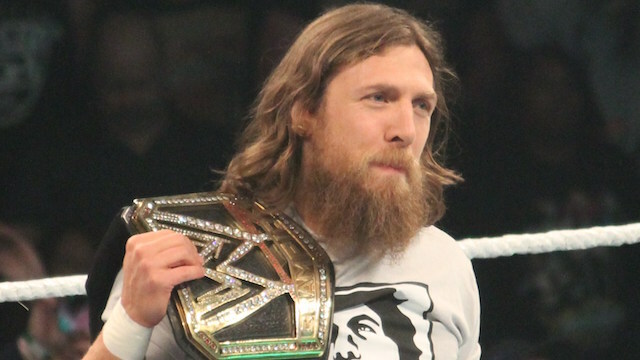 In this interview Daniel Bryan explains the creation of his new wrestling persona: "It's interesting, because it's coming from this idea that when I came back I really felt this pressure to be the Daniel Bryan that everybody used to know. I had moved on from that mentally When I was an active wrestler, my style evolved over time and one of the things I really enjoy about the craft of wrestling is that my character, my style, everything changes over time as I see what works and what doesn't work. When I came back, it was almost like my style and my character were stuck in 2014, which at this point is almost five years ago. I came back and I really felt that. I really want to change. There are these expectations that fans have of me, that the company has of me, that they want the video shots of everybody chanting, 'YES', and I was sick of those expectations. Doing what I'm doing now allows me to wrestle and present myself in a way that excites me - and that really keeps me mentally invested in what I'm doing." Another Bryan interview is HERE AND Bryan cut a promo on his OWN MERCH at Royal Rumble Axxess. A new UpUpDownDown video with Ronda Rousey as Sonya Blade is below. WWE is teaming up with Bunim-Murray Productions - the company behind Total Bellas, Total Divas and "Keeping up With The Kardashians" - to find the next female Superstar who has what it takes to go toe-to-toe with the likes of Ronda Rousey, Sasha Banks and Becky Lynch. In this interview Finn Balor talks about his SummerSlam injury two years ago: "Straight away I knew the shoulder was out because I could feel it out. I didn't really know how bad because I've had a shoulder separation before where I could pop it in and it wasn't too bad. When I hit the deck, I said, 'Oh no, your shoulder is out of place.' I instinctively pull my wrist and pull it forward. It pops back in and I go, 'Ok, whew. Just breathe. Calm down. Get your bearings. Get back in the ring.' I get back in the ring and start working. It feels pretty loose. I think he shoots me off and I reverse him and push him in the back and just that little push with my right hand on the back, it pops out again. I go, 'Oh no, this is gonna be a big issue.' I ended up coming out three or four times in the match where I kept resetting it and resetting it, but it was totally destroyed. It was a bicep tear, pec tear, the socket was broken, the labrum was torn, which is what I kept slipping in and out. Halfway through the match I realized, 'You're not gonna be wrestling for a long time.' They said, 'Stay the course,' and we finished the match and the rest is history." Roman Reigns has been added to the cast of his cousin The Rock's movie Hobbs & Shaw.